Apart from the obvious cloud that hung over the event following the deaths of Dan Kneen and Adam Lyon, it was a pretty successful meeting. The weather which can traditionally play havoc with the timetable played ball and all went accordingly, importantly allowing the newcomers their practice and qualifying with minimal stress and fuss. The occasional over eager tourist caused some delays to road closures, a needless and more frequent occurance however. Race week arrived and the start list showed a healthy table of Southern riders in every class except sidecars and TT Zero. 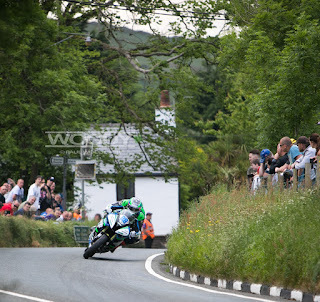 Monday’s RST Superbike opened the proceedings with entries from Derek Sheils, Derek McGee and Brian McCormack. As with the cheesy Meatloaf tune “2 outta 3 aint bad”, this transpired to a 14th place for Derek Sheils and 15th for McGee. A Silver and Bronze replica each for their 4 laps. Brian McCormack retired in Ramsey, much to the entertainment of his “selfie” fans. The Monster Energy Supersport Race 1 again featured 3 strong Irish contenders in the 3 M’s. McGee, McCormack and Micko. A full return for their investment here meant Silver for both Derek McGee and Michael Sweeney while Big Mac feasted on another Bronze. Sadly, later that evening Scotland’s Adam Lyon would succumb to his injuries following an incident in the race. The RL360 Superstock race was expected to be a highly competitive one and didn’t fail to disappoint. Both Irish entrants Brian McCormack and Micko Sweeney finished up the field with Brian in 13th and Micko in 20th. Another two bronzes banked. Brian chipped away on the road after starting the race 24th on the road as did Sweeney who started back in 36th! If the high speeds of the Monster Energy Supersport Race 1 weren’t enough to test the reliability of the 600’s, Race 2 was going to be no different. However, Micko Sweeney and Brian McCormack had found a rhythm to equal the test. Micko started 32nd on the road and Brian way back in 57th, both with plenty of traffic to deal with. Head down, tails up both managed to battle through and after a sweltering 4 laps were rewarded for their efforts. Sweeney finished 18th, enough for another silver replica and Brian also earned a bronze coming home in 31st. 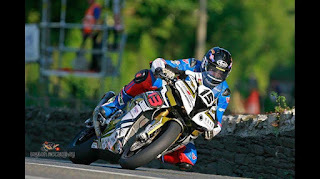 With just Derek McGee and Micko Sweeney featuring in the Bennett’s Lightweight race, all eyes were on the duo. Incredibly as the lights flashed in Glen Helen, McGee initially led on the Ryan Farquhar built IEG\KMR bike before Ivan Lintin turned the wick up with Michael Dunlop in tow. 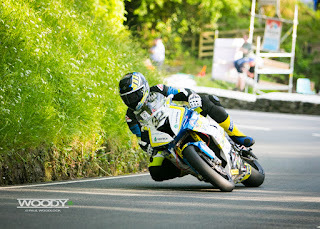 Lintin rode a blinding pace until unfortunately having to retire leaving McGee and Dunlop to duke it out for the spoils. Dunlop use all of his experience on the mountain circuit to bring home his third result of the week but, not before a hard fought effort from McGee who finished a superb 2nd. This was the first Southerner on a TT podium since the late Martin Finnegan. Sweeney also rode immensely well to a magnificent 7th place adding a fourth trophy to his list. The week’s highlight of the Pokerstars Senior TT saw a full complement of Irish riders over 6 laps early Friday afternoon. First away was Derek Sheils who was to retire safely after what was a difficult week. 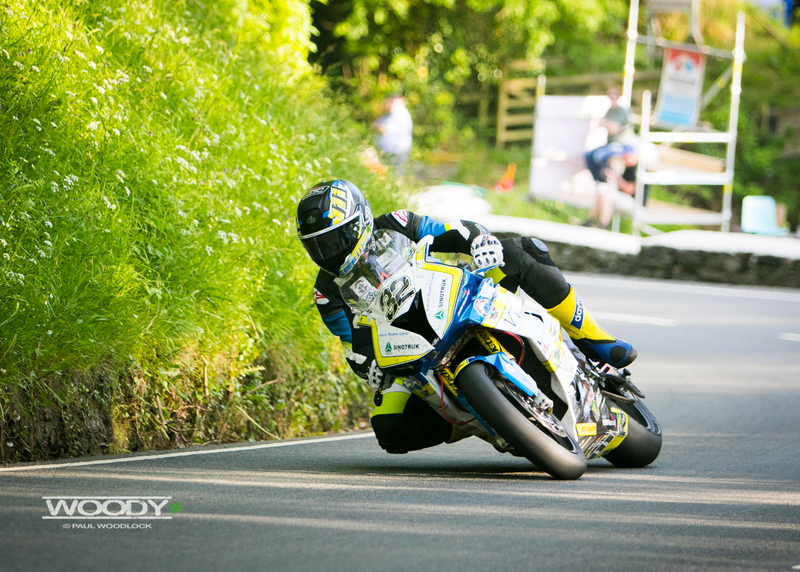 Having sacrificed an entry to the NW200 to spend time at the Horice road races to gel with the Penz13 BMW S1000rr, paid off with results in Czech but, luck wasn’t on his side at this TT. 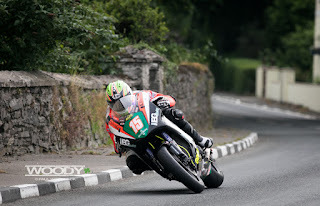 Derek McGee also retired, having stopped to make an adjustment, but deciding it best not to continue. Both Brian McCormack and Micko Sweeney excelled however, ending the race well up the field in 10th and 12th respectively, adding to their bronze replica collection. The TT was extremely hard work, on and off the track, for both riders and crews over the fortnight and thankfully all are home safely. Condolences to those lost, heal quickly to those injured. Derek McGee – 2nd Bennett’s Lightweight race, 38pts in the Joey Dunlop privateer Championship, 2 silver and 1 bronze replicas.